Experience the best of the “land of fire and ice” with this exclusive 4x4 journey that we can tailor to your preferences. For the ultimate adventure and comfort, you‘ll be driven by your own private local guide in a super-jeep to many of the country’s top attractions along with some hidden gems often overlooked by guidebooks. You’ll have opportunities to take part in optional activities like glacier hikes, horse riding and more. All of our privately-guided travel packages are fully customisable to fit your specific interests and needs. Let us help you design the tour of your dreams! Are you travelling in a group of 10 – 17 people? We can arrange this tour with transportation in a roomy mini-couch. Send us a request for details. 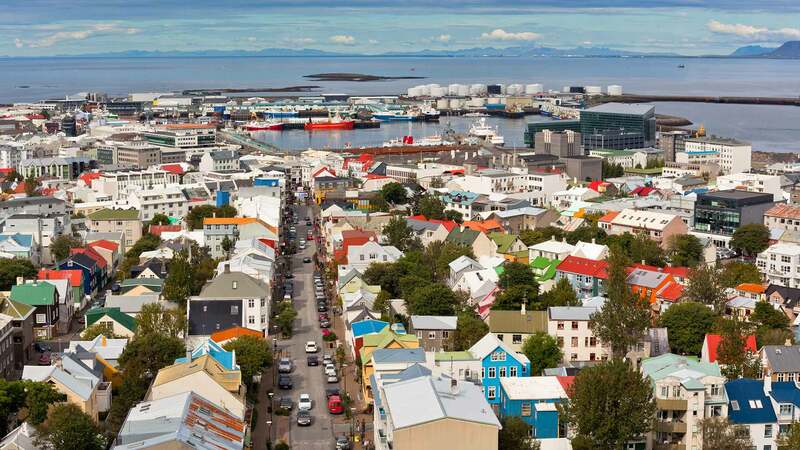 On arrival at Keflavik International Airport, you will be welcomed and driven to your accommodation in Reykjavík. After settling in, take the opportunity to explore the vibrant city centre at you own pace. 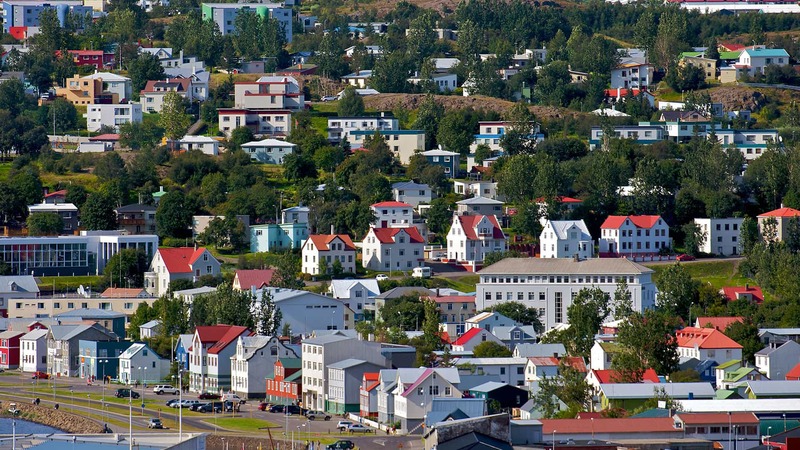 The main downtown street, Laugavegur, offers a variety of shops, galleries, restaurants, coffee houses and bars to suit all tastes—all within an easy walk. Spend the rest of the evening at your leisure. Average Driving Distance: 49km / 30 mi. This is the day you've been waiting for – the first of many adventures to some of Iceland's most wild landscapes with your own expert guide at the wheel. 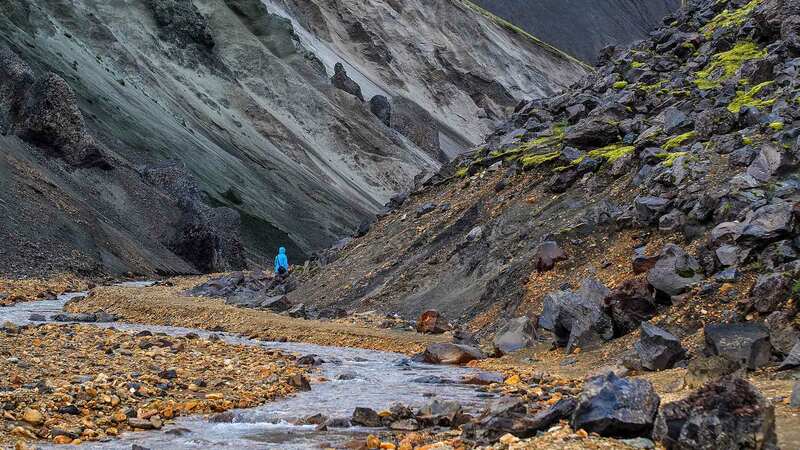 Your guide will pick you up at your accommodation and you'll head along the south coast into the Þjórsárdalur Valley, once a prosperous farmland until it was devastated by a volcanic eruption in 1104. 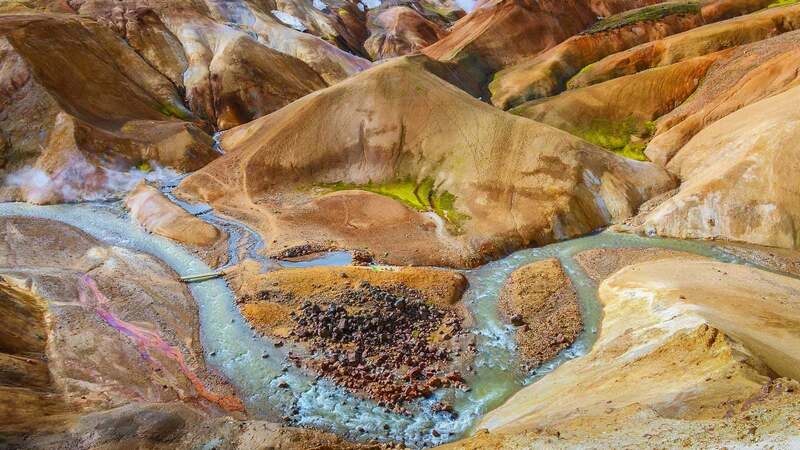 Further inland at the secluded Landmannalaugar area you can stop to bathe in a natural hot spring surrounded by nature before driving to the Fjallabak nature reserve. This drive takes you through an area sculpted by volcanoes and geothermal activity, covered by sands, lava fields, lakes and rivers. Continuing back towards inhabited land, you'll pass such otherworldly sites as Lake Langisjór near Vatnajökull glacier, the Ófærufoss waterfall and Elgjá, one of the largest volcanic canyons in the world. Please note: Today's journey can take up to 12 - 14 hours depending on road conditions and optional stops. Average Driving Distance: 295 km / 183 mi. 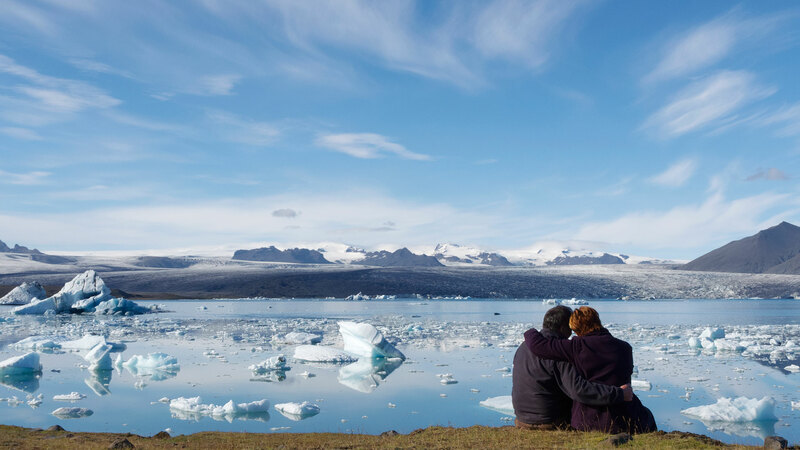 Spend the day exploring around the southern edge of the vast Vatnajökull National Park, the huge swath of protected land surrounding Europe's largest glacier. 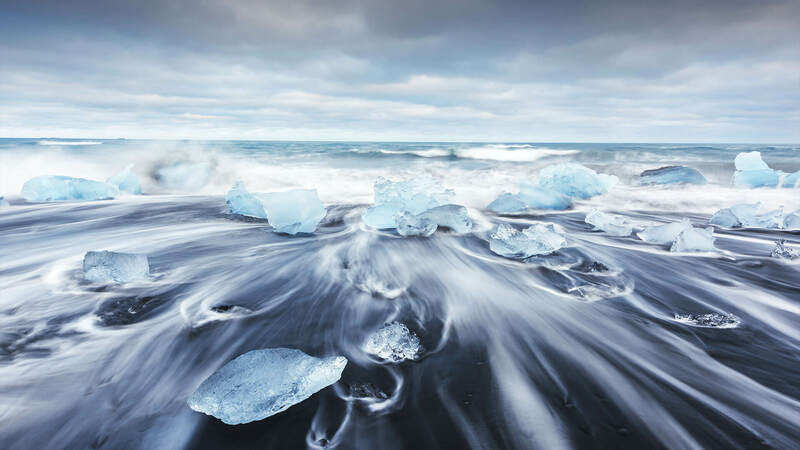 Here, you will get to experience some of Iceland's most famous scenery – the deep blue ice and stark, jagged rock formations that often adorn postcards. 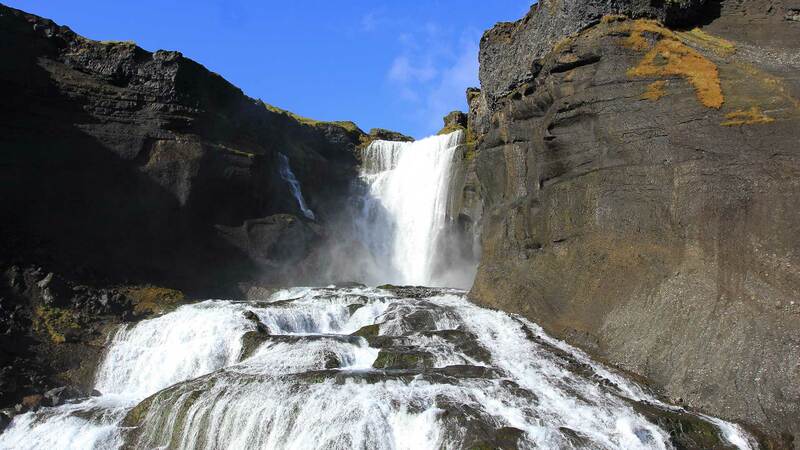 The Skaftafell area of the park offers a great cross-section of Iceland's natural contrasts, and you can hike (4 km total) to the Svartifoss waterfall, with its cliffs of dark, hexagonal basalt columns. 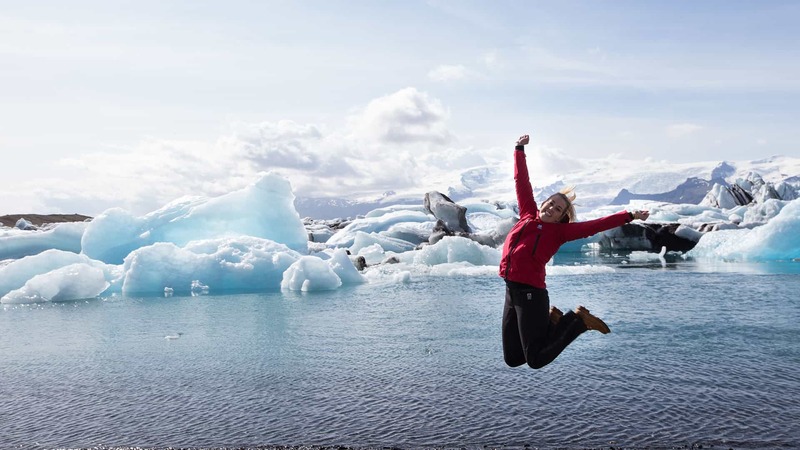 If the refreshing walk has you thinking about ice, you'll be delighted by the next stop on your journey, the famous Jökulsárlón glacier lagoon. Take your time to watch the blue icebergs floating in the mirror-like water, and if you’re lucky you might spot some curious seals. Spend the night in the Höfn area. Average Driving Distance: 203 km / 126 mi. 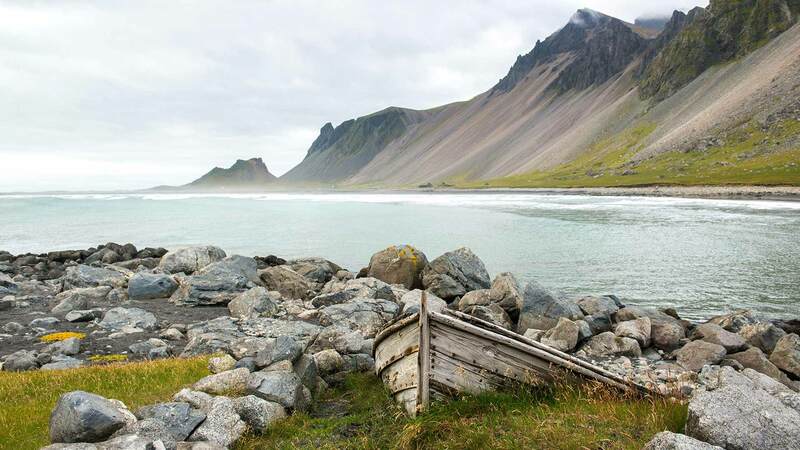 Today the scenery completely changes, and instead of glaciers and icebergs your views will be of dramatic coastlines, steep mountainsides and secluded fishing villages as you weave around the East Fjords. Notable sights on the way include the majestic Búlandstindur, the delightful village of Seyðisfjörður and the Lagarfljót River, said to be inhabited by an enormous worm, a la the Loch Ness Monster. And of course, the photo opportunities from the roadside viewpoints are a major highlight here. Spend the night in the Egilsstaðir area. Average Driving Distance:256 km / 159 mi. From Egilsstaðir it will be a long travel day, but you won’t regret getting up early for all the incredible sites. 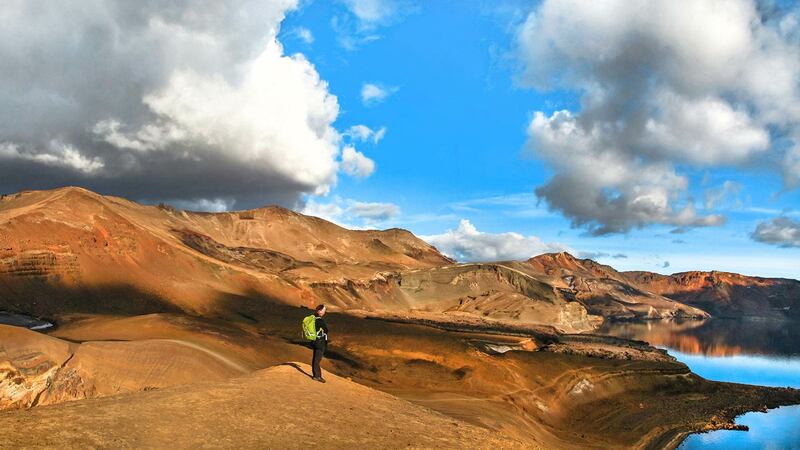 You’ll visit Askja, a deep (200 m) caldera-lake formed after the powerful volcanic eruption of 1875, and Víti, a smaller crater-lake formed the same year. Driving through this barren, unforgiving landscape -- where NASA once trained astronauts and where Icelandic outlaws hid in the Middle Ages -- is something you won’t soon forget. 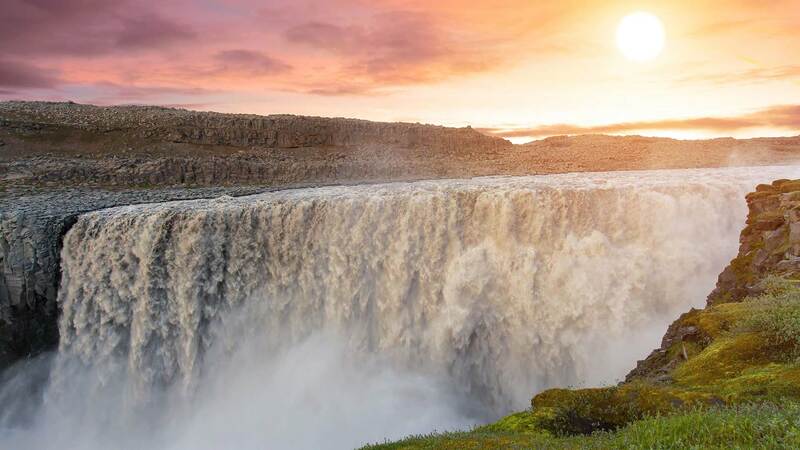 Before arriving at your next destination, the fascinating Lake Mývatn area where you will spend the night you will stop by Dettifoss, the most powerful waterfall in Europe. Spend the night in the Lake Mývatn area. Average Driving Distance: 326 km / 202 mi. Start the day by exploring the surrounding area of Lake Mývatn, a region rich in birdlife and fascinating geological formations. Here the earth comes alive with the geothermal and volcanic forces that lie beneath, as you can see first-hand at places such as the steamy Námaskarð Pass, the Skútustaðagígar pseudo-craters, the Dimmuborgir lava formations and the Krafla volcano. 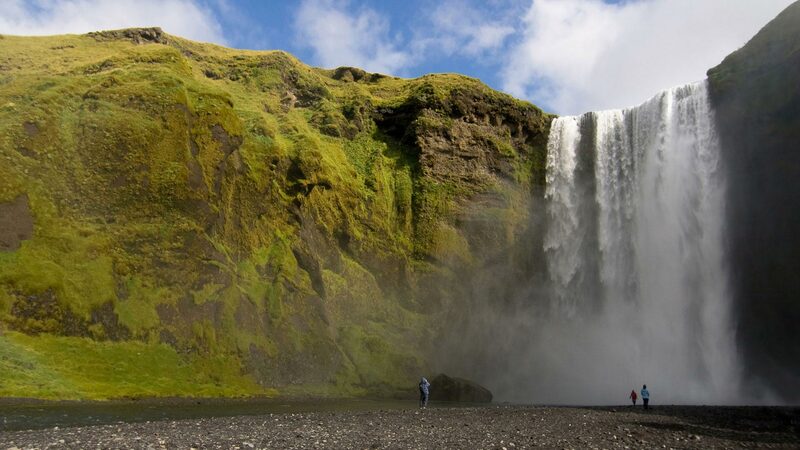 From here you will head to Skagafjörður, stopping on the way to admire the Goðafoss waterfall before reaching Akureyri, the “capital of the north”. You will have some time to walk around this small city -- the second largest in Iceland -- before arriving at your accommodation for the night. Spend the night in Skagafjörður. Average Driving Distance: 202 km / 125 mi. Today's journey is a true wilderness adventure, as you travel from north to south through the rugged interior. Following the old Kjölur highland route — once notorious as a refuge for outlaws — you’ll come across some unique, primitive-looking landscapes, such as the smoking fumaroles and sky-blue boiling pools of Hveravellir, and travel between the Langjökull and Hofsjökull glaciers before reaching your accommodation for the night. 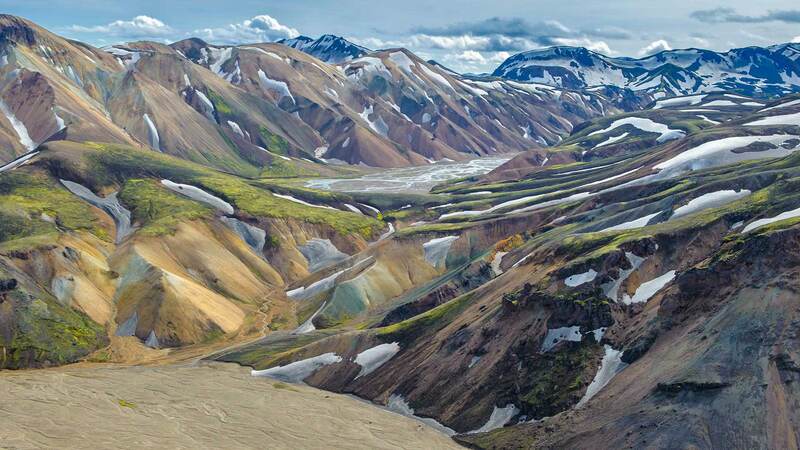 Spend the night in the highland area - Kerlingarfjöll. Please Note: The Kerlingarfjöll lodge is a highland hotel and guesthouse and is only available in the comfort and budget categories. If Kerlingarfjöll happens to be sold out upon booking, we will book an alternative accommodation along the Golden Circle region. Average Driving Distance: 167 km / 103 mi. 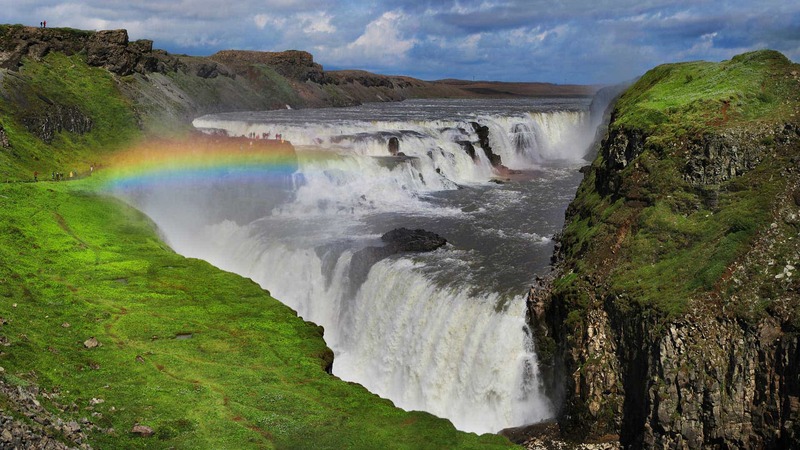 Today you’ll travel the famous Golden Circle route, one of the most popular areas in Iceland. If you aren’t already astounded by the natural diversity in Iceland, this trip will make you appreciate just how many different natural wonders can be seen within a small area. 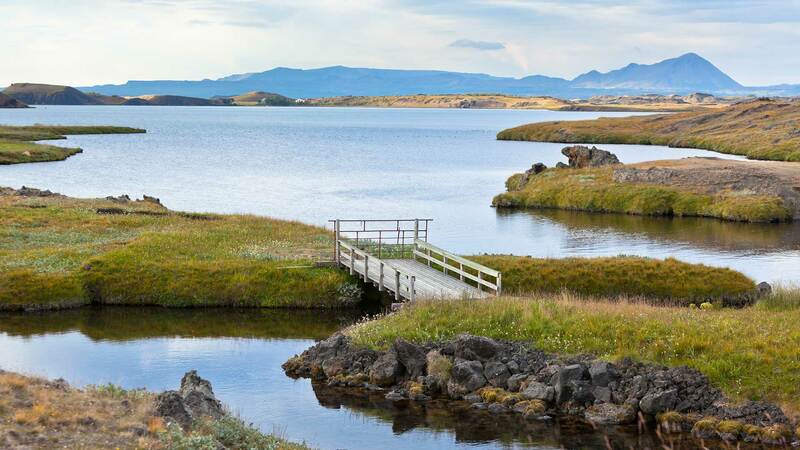 The first attraction on this route is the UNESCO-listed Þingvellir National Park, a geological marvel and location of the country’s first parliament over 1,000 years ago. 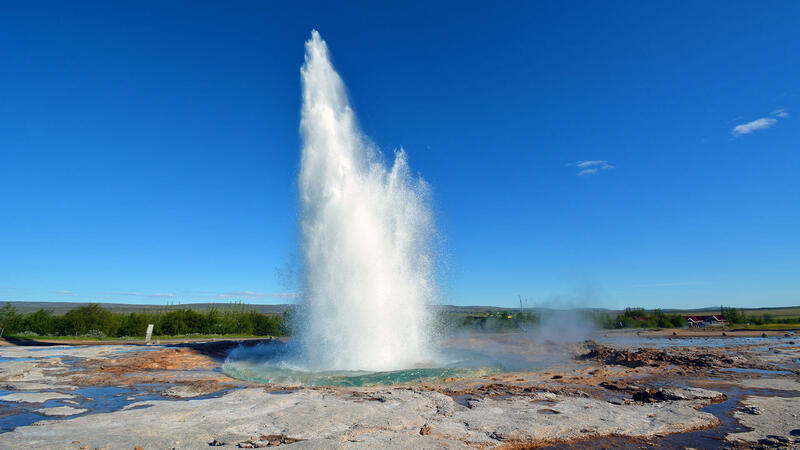 Next you will see Iceland’s famous geothermal forces in action at the Haukadalur geothermal area, home of the great Geysir — from where we get the familiar English word geyser. But here it’s the Strokkur geyser that steals the show, spouting a column of boiling water several meters into the air roughly every 8 minutes. 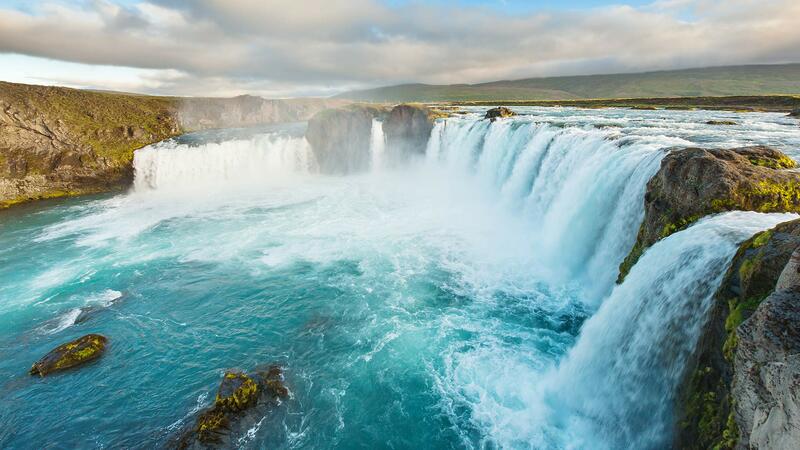 End the route with visit to the two-tiered Gullfoss waterfall, where you can follow a trail to get closer to the roaring, misty cascade. Average Driving Distance: 185 km / 114 mi. When it’s time for your Iceland adventure to end, you will be picked up from the hotel for your airport transfer about three hours before your flight. If you’re flying in the afternoon, you have the option to visit the Blue Lagoon geothermal spa to relax in the warm mineral waters before continuing to the airport (optional: not included). Average Driving Distance: 49 km / 30 mi. Be comfortable and enjoy the journey as a passenger in the vehicle of your choosing. We recommend that all our travellers read through the following information about what the tour includes and useful information about the activities included on the tour. Let us help you make this the tour of your dreams, according to your specific needs and interests. This package can be customised with extra nights, optional activities and other changes to the itinerary. Please contact us for details. All accommodation and planned activities (as specified in the itinerary) will be pre-booked by Nordic Visitor. 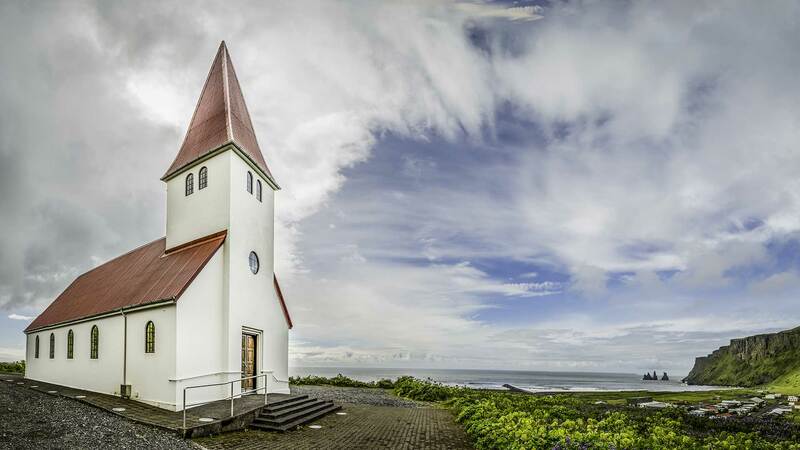 Our team of local travel experts at Nordic Visitor have compiled a list of wonderful hotels for your stay in Iceland. We carefully select hotels/guesthouses in Reykjavik and the countryside based on excellent ratings, personal experience and comfort. Single, double and triple rooms are available for our packages. Please note, that in Iceland our room types are based on European standard sizes. For instance, a double bed often consists of two single beds pushed together. Triple rooms include a double bed along with an extra bed, a rollaway or a sofa bed, and a single room is often smaller than the standard double. Travellers can choose to add-on selected optional activities when booking online. It is also possible to add-on extra nights to packages along with customising the tours to client needs. After booking your package with Nordic Visitor, you will be contacted within two business days by one of our travel consultants, who will serve as your dedicated contact person for all your travel needs before, during and even after your holiday. Your travel consultant will provide you with details about your booking and your remaining payment (if not paid in full). You will also receive more information about what to expect during your holiday.